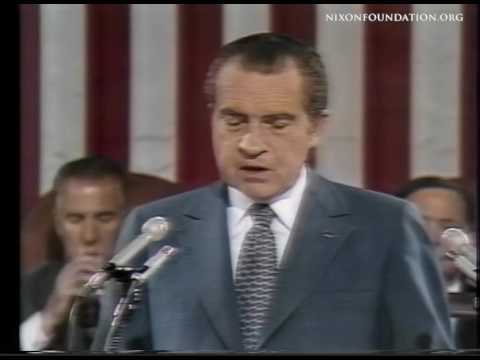 June 1, 1972: The President spoke at 9:40 p.m. in the House Chamber at the Capitol, after being introduced by Carl Albert, Speaker of the House of Representatives. The address was broadcast live on radio and television. From the archives of the Richard Nixon Presidential Library and Museum.